Financial planners can be an integral part of a complete financial plan. If you’re considering hiring one, make sure you know what to look for. Each person's financial goals are unique, but they all take a lot of work to realize. A financial planner can be the difference between a wonderful idea and a real accomplishment. Personal and family finances can be complicated, which is why it's a smart idea to have a professional on your side helping you cut through the hype to develop a financial plan that takes into account your lifestyle and goals. So while you're hustling at the office, your money is pulling double duty invested in funds or equities that your financial planner helped you select. A financial planner is quite literally, worth it. Need proof? 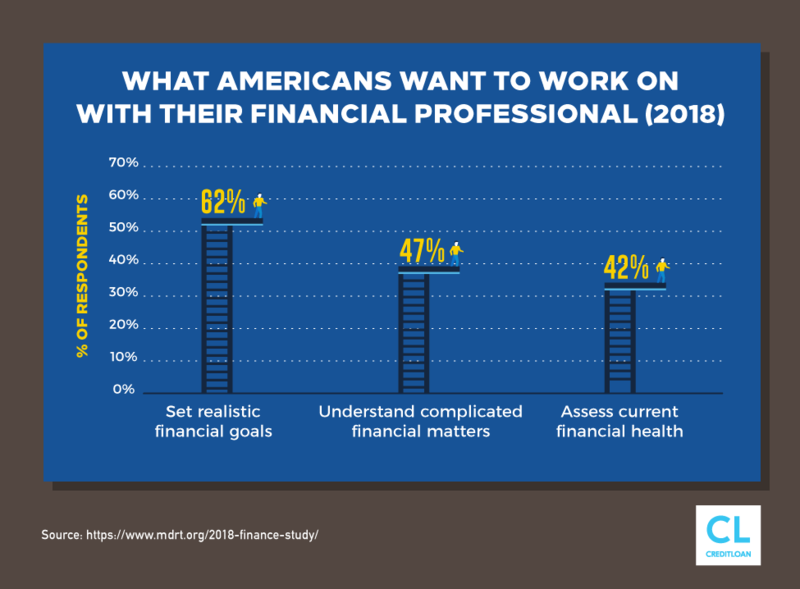 John Hancock's 2015 Financial Stress Survey found that 70% of people who work with a financial advisor are on track or ahead in saving for retirement, compared to only 33% who don't work with a professional. But you need someone who is reputable. If you rely on a shady professional or an unsustainable plan, and you could end up not only wasting your hard-earned cash, but also losing out on all of the benefits that come from smart tax planning, wise investing, and the discipline of following a budget. So where can you find that wise, sage advisor who can help you be smart with your money without breaking the bank, transforming you from a skeptic to saver? We've got you covered with everything you need to know in our step-by-step guide on how to choose a financial planner. Unless you have a very straightforward situation—say, an easy-to-understand company 401(k) —along with a healthy amount of self-discipline to stick with a budget and maintain a robust emergency fund—two things a financial planner can help you with—seeking advice from a financial planner is a wise move. They’ll help you navigate all the financial products available to you, like mutual funds, annuities, stocks, bonds, whole life insurance, an IRA, a 529, a 401(k), and an old-fashioned savings accounts. Still not convinced whether meeting with a financial advisor would benefit you? Here are some questions to ask yourself that can help clarify the need for a financial planner. Has my life stage changed recently? A financial planner is particularly important as you pass to a new stage of life—a single person investing in a 401(k) has very different needs than someone starting a family, for instance. Take into account such issues as saving for a down payment, paying off student loans while investing for kids' future college education, choosing life insurance policies, and a myriad of other issues that come into play as life moves on. Have my finances become more complicated? Some people realize they would benefit from outside advice when they receive an inheritance, start a family, buy a home, or get a big bonus. Do I routinely receive a tax refund? While it's always nice to receive an unexpected windfall, a tax refund is actually a sign that you're not properly maximizing your tax planning, reveals Certified Financial Planner Kelly Campbell. Instead, you're allowing the government to keep your money interest-free, rather than putting it to work. If you routinely receive a tax refund, you may want to enlist a financial planner's guidance on adjusting your paycheck withholdings, which will also improve your monthly cash flow. Do I have a plan for a down market? What usually happens when an investor goes it alone is that they allow emotion to rule their investing decisions. As a result, they panic in market downturns, selling off their mutual funds to avoid additional losses. Then, when the market recovers, they miss out on most of the rebound, buying back their mutual funds after values have gone back up. Can I steer the course when everyone around me seems to be upgrading their lifestyles and the temptation to buy more is all around me? There's one, proven, easy way to get rich: ‘Pay yourself first. "Paying yourself first" means you automatically have a portion of your paycheck invested for retirement and another percentage transferred to your savings account. You don't go from not running to running a marathon. You work your way up. Savings is very similar. You probably do have enough money…. It's looking at where your money is going and realizing, I may actually have enough to save. There's an enormous disconnect between people's values and how they spend their money. It's about getting total clarity around your values and making sure the way you spend and invest aligns with that. A financial planner can help you gain the discipline and accountability to put you on the path to achieving wealth. Just as you consult a doctor or nutritionist to keep your body healthy, outside financial guidance can help keep your financial life healthy and on track. Financial consultants, investment advisers, wealth managers: There are so many professionals with different titles who can help you with your financial life that it's important to be clear about what services each provides so you choose the right financial advisor. In fact, "financial advisor" ranks as No. 3 on U.S. News' list of best business jobs, with the Department of Labor projecting a growth rate of 30% through 2024. As more people enter the business, it's even more important that you do your due diligence to carefully select your professional, as "financial advisor" can be a bit of a catch-all term that covers a wide range of people offering financial advice—and not all of it is solid. Nearly anyone can call himself a financial advisor without having any specialized education, training, or expertise. Consider that the Financial Industry Regulatory Authority (FINRA) lists nearly 175 different types of professional designations that financial professionals might have—many of which are generic job titles that don't indicate any specific designation or training. The Certified Financial Planner Board of Standards even launched an advertising campaign to drive home how imperative it is for consumers to understand and assess a potential financial planner's credentials and expertise. The ad, which featured a DJ who normally sports dreadlocks, piercings, and eyeliner was given a makeover and a few financial phrases to throw around. 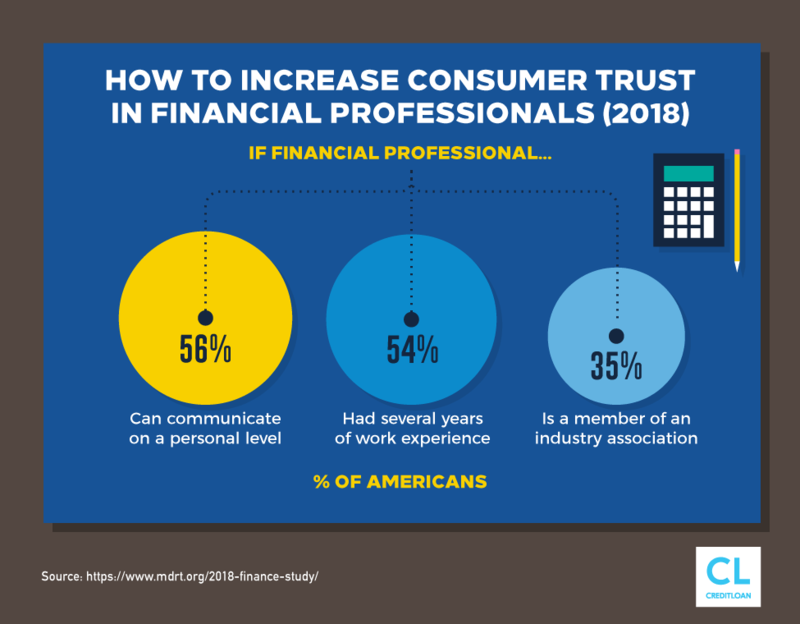 It convincingly revealed how quick consumers are to trust their finances to someone based on jargon and appearance. Indeed, due diligence is important, especially when the financial industry is open to misrepresentation. Financial planner Michael Kitces (who also pens a financial blog that's followed by a more than 20,000 financial advisors) affirms that meeting the licensing requirements to become a financial advisor is often about understanding relevant laws and products, but surprisingly, never actually involves demonstrating any competency in financial advice itself. Needless to say, you don't want to hand over your life savings to just any financial planner who can turn on the dollars and cents charm, do you? Be sure to do your research as you're considering a financial planner. The first step is understanding the differences between the various types of advisors. Do you want to save to buy a house? Is college in you or your children's futures? What sort of accounts are right for you to reach your retirement goals? Do you need help making a budget? Do you want someone to help you see how all these various elements work together? If any of these sound relevant to you, then consider choosing a financial planner with a CFP® (Certified Financial Planner) designation, which is the more rigorous level of certification for a financial advisor. In essence, a CFP® designation is the gold standard: While it's not necessarily a deal breaker if your advisor doesn't have one, keep in mind that earning a CFP® shows a commitment to the profession. This certification is geared more toward tax and audit services. Mike Piper, the author of "The Oblivious Investor," uses the different exams a CPA and a CFP have to take explain the difference. He says that the exam to become a CPA covers financial accounting and reporting, auditing, and regulation, which are more often related to taxes and business. The exam for CFP® certification covers the general principles of financial planning, which include everything from insurance, investing, income taxes, retirement, and estate planning, among other topics. Since CPAs focus less on general financial topics, they make a great source for tax preparation or help with small business tax issues. If you find a CPA who also holds a personal financial specialist (PSF) certification, he or she can be a good match if you're a small business owner who also wants financial planning advice on a larger scale. Also known as a "Registered Representative," brokers work for firms that help their clients buy and sell investment securities like, stocks, bonds, and mutual funds. While they peruse research and make suggestions on what companies are a good "buy," their role is much more transactional in nature. In other words, they are typically focused on what products you should buy and sell rather than your entire financial plan. If you're looking for someone to help you with the bigger picture of planning your finances to reach certain goals, then a stockbroker is likely not the professional you are seeking. A stockbroker is a perfect fit if you have set aside money to invest and can afford to pay someone to make choices for you. Credential alert! Stockbrokers must pass the Series 7 and Series 63 securities examinations. Most people focus on investment vehicles as if they were the plan. But imagine going to a ticket counter and asking for a plane ticket but not knowing where you wanted to go. It wouldn't be very productive—and it would be costly. That's how most people invest. They look for the vehicle like stocks, bonds, mutual funds, real estate, and focus on those rather than on their investment plan. They should instead make a plan and then choose the right vehicles to achieve that plan. Partner with you by taking the time to parlay your philosophy about money, your needs and objectives, and your background to collaboratively come up with a plan to make your money work for you. | Mitch Anthony, Advisor Insights Inc. The truth is, even though we probably could do more money managing ourselves, human nature says we won't. In fact, many 401(k) participants spend more time choosing a vacation destination or new car than researching the investment choices in their 401(k) plan! The most crucial part of this whole equation is how to choose the financial planner that is best for you. Otherwise, you might be wasting time at best, and losing money at worst. A great place to start is to ask around and seek referrals from friends and family. Think about where most of your best recommendations come from—from people whose opinion you trust. Ask among your personal network, including business associates, for names of financial planners they have worked with successfully. Making a mistake in choosing a financial planner has far more consequential implications than the bad sushi you ate at a highly reviewed restaurant, which is why few of us want to just Google our way to finding someone so important to our financial futures. Garrett Planning Network: This database will connect you to "fee-only" planners and can be searched by geography and specialty, as well as offering a virtual network. National Association of Personal Financial Advisors (NAPFA): This is a professional association of fee-only advisors who sign an annual Fiduciary Oath and agree to a strict Code of Ethics that covers objectivity, confidentiality, competence, integrity, and more. 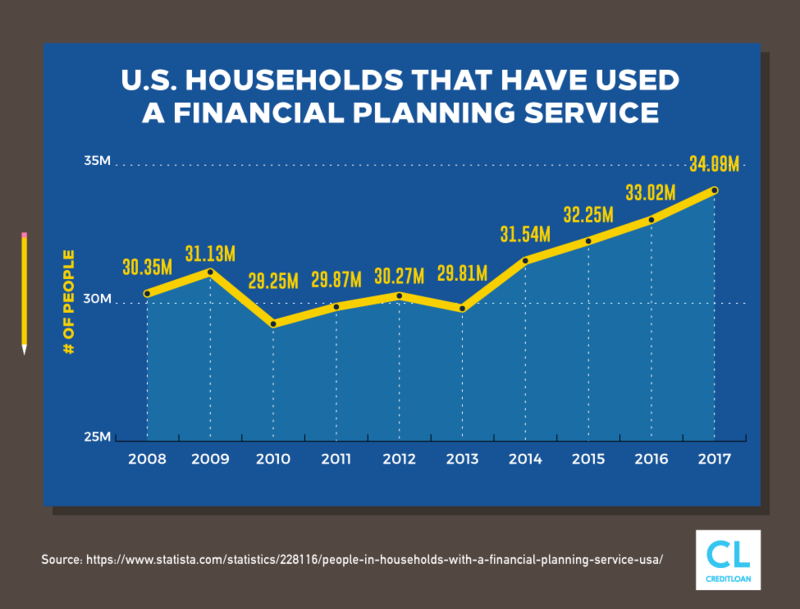 Financial Planning Association: This is the largest membership organization for CFP®professionals, with a searchable database organized geographically. You can also search by "investable assets," which can help you find planners who regularly work with clients in a similar financial situation. What red flags should you look out for? Ensure a financial professional's credentials match up and are up-to-date, and also see whether there have been any violations or complaints. The extra step it takes to find out your financial advisor's true credentials is worth it, when you compare the five-minute search against losing your nest egg from not taking the time. Because even though our DJ friend above is probably a great guy, he really shouldn't be overseeing your financial future. All this advice doesn't come free, of course; after all, financial planners also have to make a living. But it's important that you know upfront how they will be paid so you can feel comfortable with the decisions you make. In this popular model, your financial planner takes an annual percentage of the money he or she is investing for you, typically 1 to 2% of the assets under management (AUM), with the percentage decreasing as you acquire more assets. "The more your assets grow, the more your advisor earns—an added incentive for your advisor to make smart recommendations," explains Jill Schlesinger, a business analyst for CBS News (she knows her stuff). The flat percentage eliminated any ‘nickel and diming' you might feel if you are charged an hourly rate when you call to ask a question." It also removes any temptation for your professional to make trades specifically to earn a commission," adds Schlesinger. A fee-only adviser has an interest in capturing assets. For example, "they might recommend rolling 401(K) assets into an IRA that they would manage, which may not be in the investor's best interest," explains Micah Hauptman, a financial-services counsel at the Consumer Federation of America. Some firms may have account minimums. Project based. This type of fee-only financial planner will charge a set fee for a specific project, which might include helping you create an initial retirement plan or a budget that tracks to your goal of saving for a down payment. Fees can vary, but expect to pay $1,000 to $2,000 for a simple initial document. Make sure you understand exactly what is included in the fee, so you're not disappointed when they deliver a document that only covers retirement, but not college savings, for example. Hourly fee for service. These fees will vary depending on where you live and your advisor's expertise. Hourly rates can range from $120 to $300 an hour. Remember, of course, that fees don't necessarily track to quality; the fees should just be one aspect of your vetting process. With fee-only financial professionals, you know exactly what you will be getting, according to personal finance guru Suze Orman. It keeps the fees steady, points out Certified Financial Planner Michael Solari. "Since a percentage makes the cost a moving target, it's hard to understand the value of the service. You may have paid your adviser $1,000 last year in AUM fees, but this year you paid him $1,500." Some client situations are more complex than others. In the first year that an adviser works with an account, he or she probably puts a lot of hours in because there's a lot to do, and that can mean a big upfront investment. In a commission structure, financial professionals make a commission off every product they sell you, whether it's a mutual fund, annuity, or a stock. If you are a buy-and-hold investor, you won't incur the commissions very often. Planners who earn money based on commission rather than a flat or asset-based rate could have an incentive to steer you in a particular direction. What's the right model for you? The only way to determine which kind of payment model is right for you is to do some simple math. If your advisor will have $250,000 assets under management (AUM), that works out to roughly $2,500 in fees for the year. If you're using a fee-only financial planner who charges $200 hour, that would buy you just 12.5 hours of time (hourly). If you feel that you would like or need more service than that, the AUM model might be a great buy. As Laura Shin, personal finance writer and author of "The Millennial Game Plan: Career And Money Secrets To Succeed In Today's World," explains, probing questions can help you whittle down the right match during your financial planner fact-finding. Find out if the financial advisor you're considering has a niche or a specialty. Some focus on charitable giving or socially responsible investments. Financial planners may have certain age groups they primarily work with, or clients in similar life stages, such as families just starting out who are just starting to grow their net worth. Be wary of anyone who says they like to "beat the market" or who makes guarantees. You'll also want to steer clear of someone who doesn't effectively listen to—and apply—your philosophy and comfort level (or aversion with/to risk). What is your expected involvement? No matter what sort of fee arrangement you have, you'll want to know how directly involved your advisor will be on an ongoing basis. Some might defer to an annual meeting, while others will prefer quarterly check-ins to make sure you're on track. Will I be working directly with you or someone on your team? Some people want to work with the same person all the time, while others are fine with a team approach, provided every member of the team is familiar with the account. If there's an associate you'll be working with frequently, ask to meet with them too. Do you offer advice based on a fiduciary or suitability standard? A fiduciary is a financial professional who is legally obligated to provide advice that is in the best interest of their client and who puts their clients' needs above their own. A suitability standard says that advisors need only suggest a solution that is just "suitable," meaning it meets the client's needs and objectives. The gray area emerges when an advisor would suggest a product that might earn him or her a higher commission, such as an investment that was proprietary to the firm. That investment product might indeed be suitable, yet not be the best or most cost-effective choice for that particular situation or individual. As you tick through these questions, you'll start to realize that there are probably as many answers as there are planners, but any professional should exhibit certain traits and respond according to ideals that align with your money management goals. When you're talking about something as personal and critical to your well-being as money, you want to make sure your advisor has not only the skills, but the personality that will allow you to open up and trust them. Remember, even though the financial professional is the "expert," you are paying them. That means you can and should expect them to put your mind at ease as much as they work to make your money grow. The end result: With a little help from you financial planner friends, you'll make headway toward a more stable financial future. Congratulations! You've done the legwork, due diligence, and the interviewing,… not it's time to take action to find the financial planner for you. That's right—it's appointment time—and your first opportunity to start making your money work for you! The key to meeting with your financial planner is to ensure you're prepared, so you don't waste your time or theirs. Embark on that first meeting armed with the background and details the financial advisor asks for. This will need to help get started drafting a sound financial plan. As the venerable Yogi Berra said, "If you don't know where you are going, you'll end up someplace else." That's why knowing how to choose a financial planner can be the first step to living the life that you want. While amassing wealth might not be your goal in and of itself, a financial planner can help you create a roadmap that will help you get to your destination and use your money in the way you choose—whether it's buying that home in the best school district, donating lavishly to charity, or enjoying a tropical getaway with cherished family and friends. What's the best (or worst) advice someone has given you about managing your personal finances? Let us know in the comments below.